The Accelerated Tandem Progression Program is highly recommended for those wanting to achieve their skydiving license. This program is generally faster than the AFF program and it includes tunnel time! We offer a prepay discount to students who pay for all 25 program jumps in advance! This price includes all rental equipment, parachute, goggles, jumpsuit, altimeter and training materials. Tunnel time is not included in the price and must be paid directly to tunnel instructor. Jumps 1-7 include a FREE main parachute repack. Jumps 8-25 you must pay the packer cash! The USPA A-License requires a minimum of 25 jumps. ATP is a skills based assessment program. You must exhibit the skill to progress to the next level. You instructor will work with you as to what that skill is and how to accomplish it. ATP is a self-paced program. The more you jump, the faster you will progress. 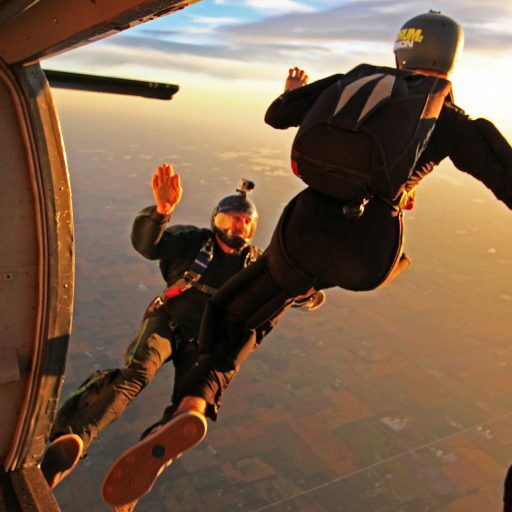 Student skydivers must jump every 30 days to remain current. If you have not jumped in the last 30 days, you will be required to do a refresher course, for $65. All students are required to join the USPA; 3 month membership- $20 1 year membership- $65 Must be 18 or older with valid ID and weigh less than 230lbs. No Refunds. No Expiration.